The CDC slows the descent of the buzzer, possibly imitating the losing struggle of a pupae in the surface film. Watch for the takes during the first few inches of the descent. Striking is a too violent expression when Fly Fishing. Super glue body and before it is dry add a few sparkles and then varnish. 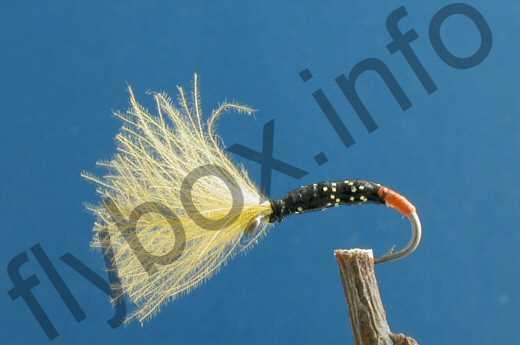 Currently there are no comments about the Black and Red tag Buzzer CDC fly pattern from other fly fishermen yet.